Happy Friday! 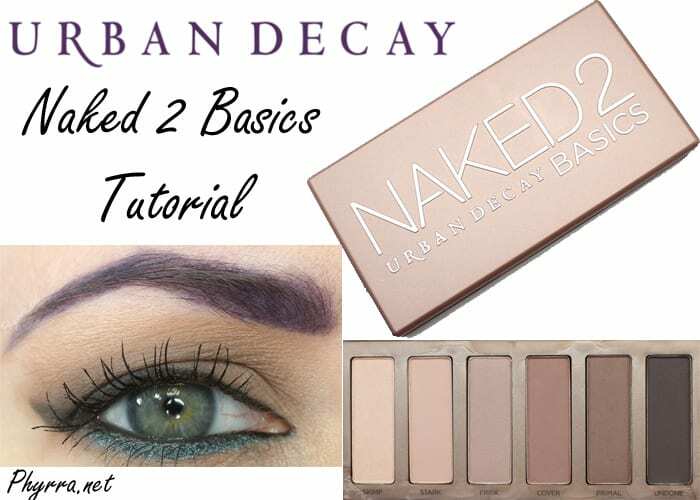 Today I’ve got my Urban Decay Naked 2 Basics Palette tutorial to share with you. The Naked 2 Basics palette features many taupe shades, so if you’re a taupe lover you’re going to go crazy over it. You can check out my Naked 2 Basics Palette review. I also filmed a video comparing the Naked Basics, Pulp Fiction and Naked 2 Basics palettes, so that if you want to narrow it down to just one palette, you can easily do that. If you like this video please share and subscribe! I know a lot of you liked this look but I felt like it was unflattering on me. Additionally, I used OCC Tint in Y1 by itself, rather than mixing it with Y0 and it ended up being too dark for me. I should have mixed it with Y0. I do love how my brows, lips and lashes look. The Subversion mascara primer is amazing. I’m so glad I picked it up. Daughter #1 was trying on Naked2 Basics a few days ago. She is medium-fair and more golden, so the colors were more of a cool taupe than they look on you. Undone, the darkest shade, worked for her low-contrast coloring, but would be frustrating for anyone who has dark hair or needs more contrast. By the way, do you know of a blogger who is as pale as you but with cool, blue-pink undertones? (For dd #2) Thanks! THANKS! I have always wished for something like this! They are all pretty colors! I don’t know if I would want both basics though. 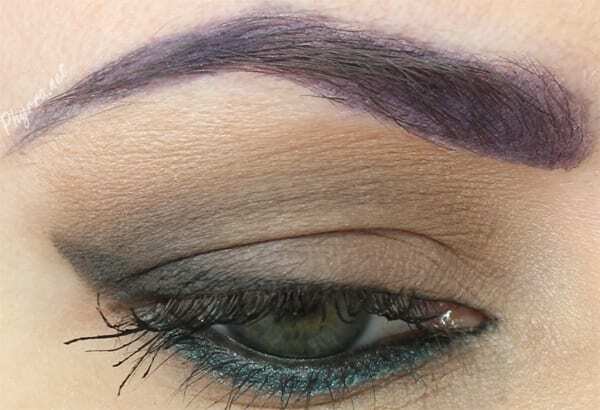 I think I’ll stick with Naked Basics but I love your purple eyebrows! Oh my gosh – the look you put together is beautiful. 🙂 In your opinion… is the Naked basics 2 a MUST HAVE if you have #1? I love the look you created and the purple brows are sooo awesome! I used to do colored brows more often, but haven’t done them in a long time. glad you like them! I love your purple brows so much! 😀 Also the liner, and the lipstick… it’s funny, what I like most about neutral eyeshadows is what they let you get away with (more easily) on the rest of your face! 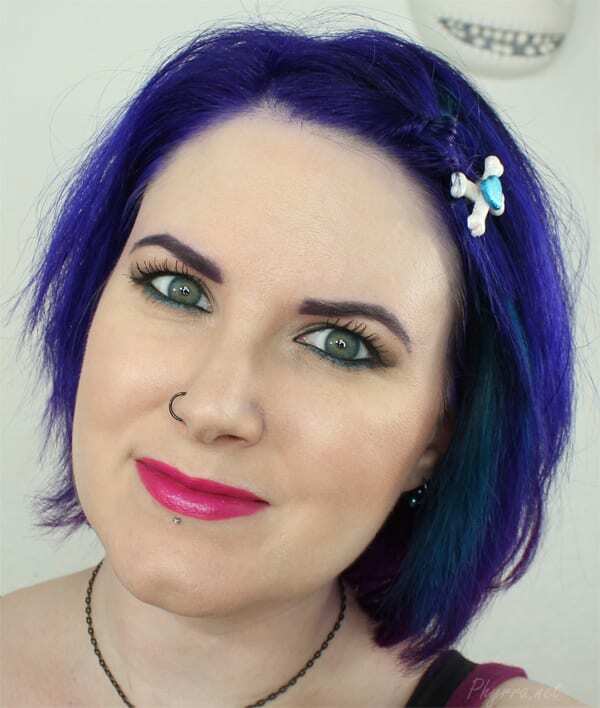 Yep,bright lips, bright liner, bright hair! Great look! I love what you did with your brows here. Very cool! I just picked up the original…so of course they’d come out with this one that is likely a better fit for me! I cannot WAIT to get my hands on Naked Basics 2! LOVE the tutorial! The lipstick is a showstopper. Gorgeous! I like the look, but I can see now why you don’t like this palette. Undone isn’t dark enough to be the darkest shade, and the taupes do look on the edge of muddy. 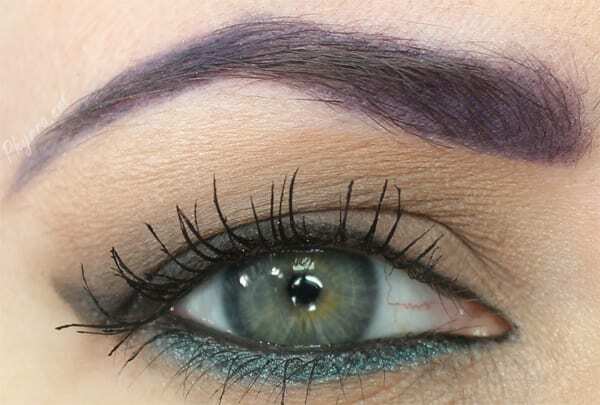 Using the teal and purple brows saved the look and made it more you! I am completely in love with that eye look. I love the way the blue eyeliner looks underneath! Say what?!?! It is not unflattering!!! How did I not know that UD has a new eyelash primer? I didn’t like their old one, but I’ve been looking for a CF alternative to the one I’ve used for years (Smashbox), so now I’m excited! Fantastic tutorial You look beautiful. That’s beautiful. It’s nice to see the Naked2 Basics shades in action. That seals the deal. I’m getting that palette. Such a pretty look. I like the mix of neutrals and brights. I really adore how you mixed the subtle neutral colors of the palette with the bright color on the lower lashline! Super pretty!! Fully convinced I need this. I am obsessed with neutrals and probably own 9 bagillion, but something about this palette looks gorgeous. And seriously girl I am OBSESSED with your bright lips and the tealish green shade on your lower line. Seriously gorgeous and makes your eyes stand out so much. Beautiful! Yes, I wanted a softer, smokier effect for liner. To do that I like to use a gel liner at the lash line then smoke shadow out on top of it. I love gel liner to bits. You can do this with a pencil too but it’s harder to get a thin line with a pencil.